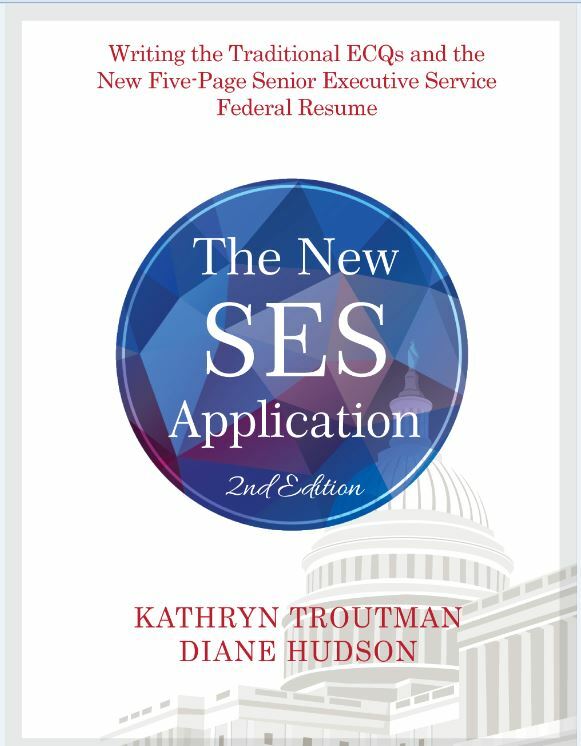 The New SES Application, 2nd Ed is the leading publication for Senior Executive Service Executive Leadership positions in the Federal Government. The publisher has used this guidebook in SES ECQ Writing Workshops in government agencies extensively. Their training of current GS 14 and 15 government executives is very popular due to this fabulous formula for writing the application for SES positions. Fantastic for busy executives the Top Ten List of Accomplishments approach to writing 10-page narrative ECQs is popular, friendly, and approachable and results in impressive and on-point leadership stories. Executives enjoy writing their Top Ten, and they can write their Top Ten in a couple of hours or less. SKU: KT67154. Categories: Business, Careers. Tags: government, Senior Executive Services, SES, SES guidebook. Kathryn Troutman is internationally recognized as the Federal Resume Guru by jobseekers and federal human resources specialists. She created the federal resume that became the accepted standard after the government application form (SF 171) was eliminated in 1995. Kathryn is a prolific writer, popular government agency trainer, in-demand consultant, and Founder and President of the Resume Place. Diane Hudson is an experienced federal resume writer and consultant with the Resume Place and has expertise in SES applications. Paul Thompson is a retired Office of Personnel Management manager for Executive Resources.